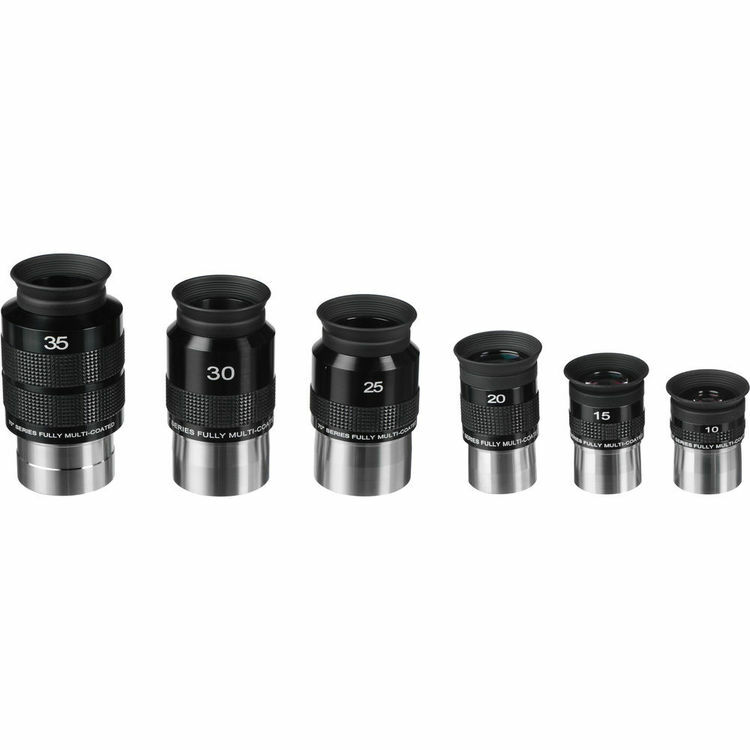 The Bresser's 70°-Series 6-piece Eyepiece Set provides users with a wide assortment of eyepieces for use with focusers or adapters that accept 1.25" and 2" eyepieces. The combination of 5-element lens construction and anti-reflection fully multicoated optics maximize light transmission with reduced distortion across the entire field of view. Large labels clearly show the focal length of each eyepiece and rubber eyecups form a tight seal with the user's eye socket to block peripheral light leakage. All of the eyepieces except the 10mm have a dimpled collar that provides a non-slip grip for easier handling. Box Dimensions (LxWxH) 13.5 x 8.2 x 4.5"